BY JOANN LOVIGLIO CAT FILM CRITIC Kedi is the cat movie we need now: A master class in empathy, a reaffirmation of the human capacity for kindness, and CATS. Lots of cats — some we come to know by name, others we briefly meet in passing, all of them scruffily, scrappily adorable. Director/producer Ceyda Torun spent her childhood in Istanbul. Like many of the people we meet in Kedi, she says the city’s street cats made her life less lonely and shaped her into the person she is. It’s clear from the start that the humans in Kedi — fishermen, artists, cafe owners, market vendors, retirees — need the cats as much as the cats need them. All see in the cats traits they aspire for themselves, or admire in others. “She never compromises her freedom. She has a fighting spirit. She has qualities that people should have,” says one man about Psikopat, whom he lovingly calls “the neighborhood psychopath” because of her fondness for chasing pitbulls. If you’re thinking that all of this sounds a little too, well, poignant for you, fear not. 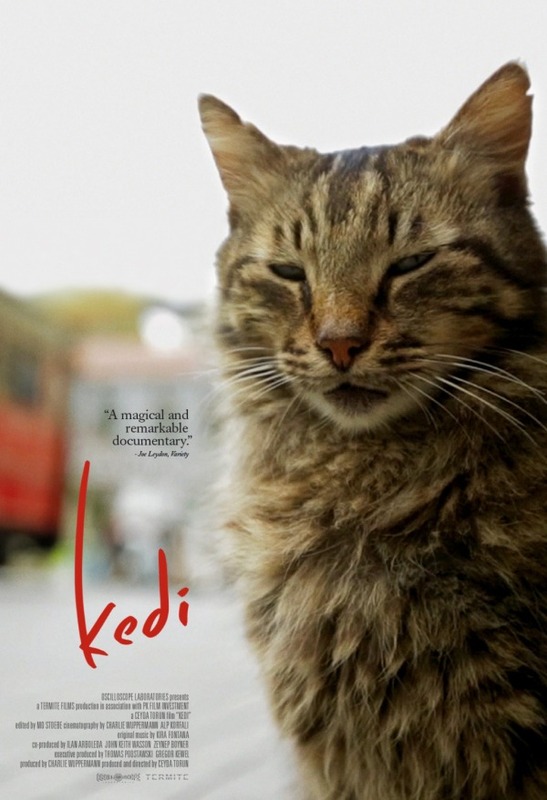 Kedi is 80 minutes of lovingly shot close-ups of pink noses and cat-eye-level camera work. Many of Torun’s perfectly composed shots seem downright miraculous — especially considering that you’re way more likely to be struck by lightning than get one decent cell-phone photo of Fluffy, ever. But there are bigger points raised among the cute kittyness. In Istanbul, both people and cats are threatened by encroaching development that’s replacing open-air markets with high-rise condos. Citizens are grappling with how to preserve their way of life, and protect the cats they care for. As one Istanbulite says, “Our concerns for street animals and our concerns for people are completely related to one another.” Along with its poetic fondness for felines, Kedi is at heart a love-letter to the city of Istanbul and its people with beautiful overhead drone shots, breathtaking views of the skyline from the waterfront, and cat-perspective rooftop vistas at sunset. If after watching Kedi you don’t want to go there tomorrow and hang with kitties, consider your cat lady badge revoked. This entry was posted on Friday, February 24th, 2017	at 5:10 pm	and is filed under News	. Responses are currently closed, but you can trackback from your own site.